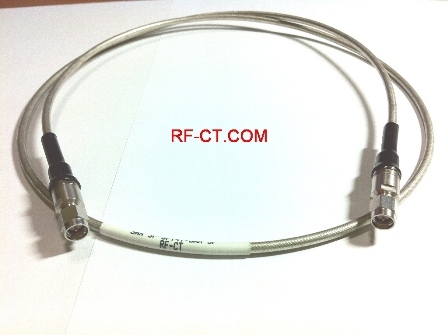 RFCT high frequency test cables with hand formable cable show high performance for testing purpose in the applications of wireless LAN, mobile communication, base station and repeater systems. Also it can be used high frequency transmission line equipment and test measurements including network analizers. The coaxial cable is high performance cables with RG402 and RG405 diameter sizes. The maximum frequency will be changed per customer requirement and N type connectors also available.